designtocaredaily: Terrorist Attack on Burkina Faso's Capital Ouagadougou. 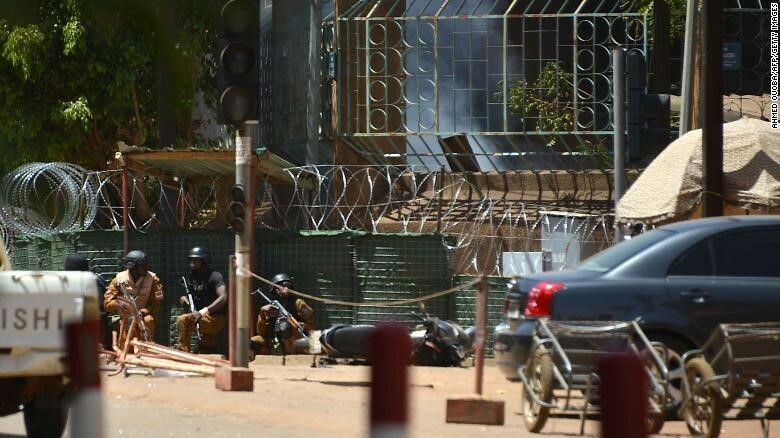 Terrorist Attack on Burkina Faso's Capital Ouagadougou. Security personnel take cover as smoke billows Friday from the French Institute in Ouagadougou. (CNN)At least seven people have been killed and six attackers "neutralized" Friday in Burkina Faso after attacks on the national army headquarters and the French Embassy, a government minister said. It's not yet clear who was behind the violence in the West African nation's capital, Ouagadougou. France's special envoy to Africa's Sahel region, Jean-Marc Châtaigner, urged people to avoid the city centre in a tweet referring to a "terrorist attack." 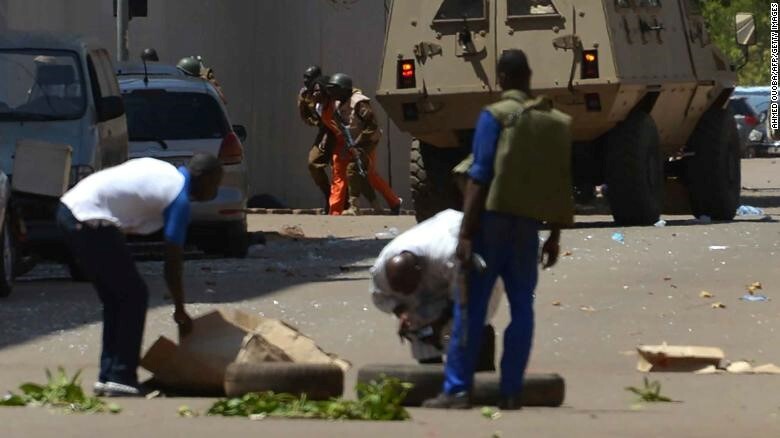 Rémi Dandjinou, Burkina Faso's minister of communication, told CNN that an explosive device was used in the attack on the General Staff of the Armed Forces. At least five people were killed and two attackers "neutralized" there, he said. 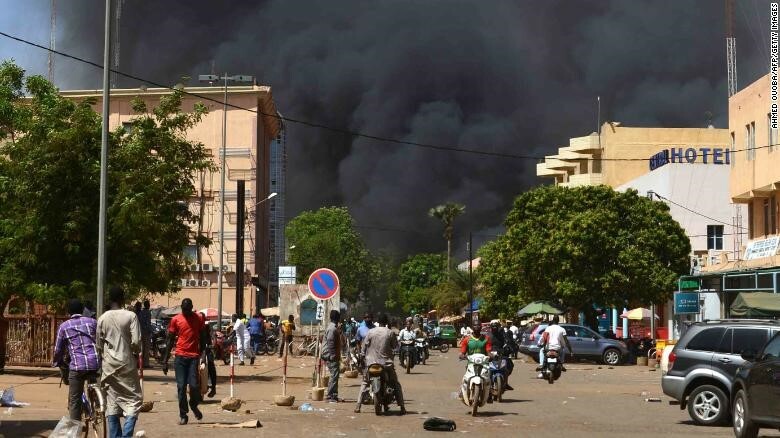 People watch as black smoke rises in the capital of Burkina Faso after it came under attack Friday. Four attackers were also "neutralized" and two Burkina Faso security members killed at the French Embassy, according to Dandjinou. He cautioned that the death toll might change. A spokesman for the French Ministry of Defense told CNN the situation at the embassy was under control. A government statement urged people to keep calm and avoid areas where there might be gunfire. The French Embassy earlier said on Facebook that attacks were underway there and at the French Institute, a cultural organization about a mile away. France's ambassador to Burkina Faso, Xavier Lapdecab, urged people via Twitter to act with "absolute precaution" as the attack was ongoing. Burkina Faso's national police warned people to move away from areas around the "vicinity of the Prime Ministry -- and the United Nations roundabout" in a post on its Facebook page. "The specialized units of the defence and security forces are in action," it said. The Prime Minister's office later posted on Facebook that it was not affected by the attack. The US Embassy urged people to seek shelter. "Attacks are reported to be ongoing in downtown Ouagadougou, in the Koulouba area. The affected area includes the Chief of Staff Headquarters. Avoid downtown Ouagadougou. Shelter in place. Monitor local media for updates," it said on Twitter. Bystanders look on as security personnel move beside an armoured personnel carrier in Ouagadougou. It's not the first time that sites in the capital have come under attack. An attack by gunmen last year on a restaurant in Ouagadougou left at least 18 people dead, including two attackers. The victims were of several different nationalities. That assault echoed a similar one in 2016 on a cafe and hotel popular with Western diplomats in the same district of the city that left 29 dead. Responsibility for that attack was claimed by an al Qaeda affiliate, al Qaeda in the Islamic Maghreb. Later that year a jihadist assault on the Grand-Bassam beach resort killed 16 in neighbouring Ivory Coast. 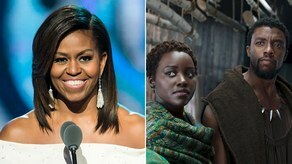 CNN's Jennifer Deaton, Farai Sevenzo, Natalie Gallón, Antoine Crouin, Hande Atay Alam and Tim Lister contributed to this report.